Last week I spoke about how to make your heroine a swanky Miss. Normal. This week, I follow upon the same 'keeping her real' logic, but this time it's applied to someone we all know - the princess! As women, the first heroines we are introduced to are the princesses of the fairy tales. Who hasn't sighed in bliss and contentment when the kiss of the prince wakes Snow White, or when the glass slipper fit Cinderella's foot perfectly? We got our first notion of Happily Ever After in such occasions, as well as a glimpse at what a hero should be like - a prince (do you realise they're all called Prince Charming, as if there's one single bloke for all those girls?) or a knight in shining armor who comes riding on a big white horse and sweeps the damsel in his arms and takes her to Far, Far Away where they live happily and have many children. 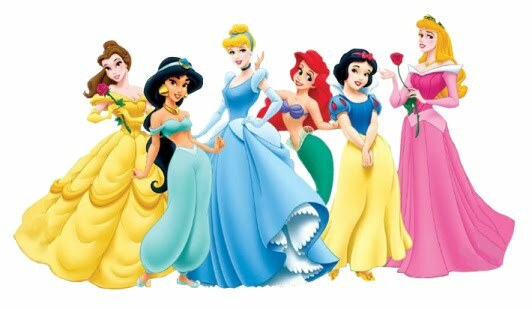 Heroines were built off the template of the fairytales damsels and the princesses. But, is she applicable in our times? Just think back to the movie Enchanted - the princess, Gisele, is pushed by the wicked stepmother into the reality of today's New York, where for the first time she meets a flesh and blood man who isn't a gentleman, and who even curses, and where she calls upon all the animals in the city to come help her clean his apartment, by singing from the terrace! She also sings at every given opportunity. The realm of fairytales, right? Exactly! A fairytale princess cannot exist in the world as we know it. She cannot simply meet the prince and accept his wedding proposal 2.5 seconds later, get married the next morning and live happily ever after while giving birth to many children throughout the scope of her reproductive life. Where's the realism here? Nonexistent. And that's a big mistake where penning heroines is concerned - the lack of realism. And of logic. Now, if you are writing a fairytale, this princess would work for you, but we have to face the fact that most of us write about real women who are facing real situations albeit in a fictitious setting. But fiction has to be as close as possible to reality. Even in a realm such as fantasy, where your world is wholly fabricated, there needs to be a semblance of logic that grounds your characters. This logic is what you need when you pen a heroine. Why is it more important for the heroine? Because she is very much the strongest pillar you need in the foundation and construction of your romance story. There is no romance without a heroine, and most romance, while featuring a good deal of the hero, is based on the love story that touches the life of the woman. Take a glimpse at strong heroines who have stayed in your mind, and look very hard at the thread of logic in your heroine's behavior. This is ultimately what will help you create a superb character that leaps off the page and who will stay in the minds of your readers for a long time to come. As always, your comments are more than welcome!